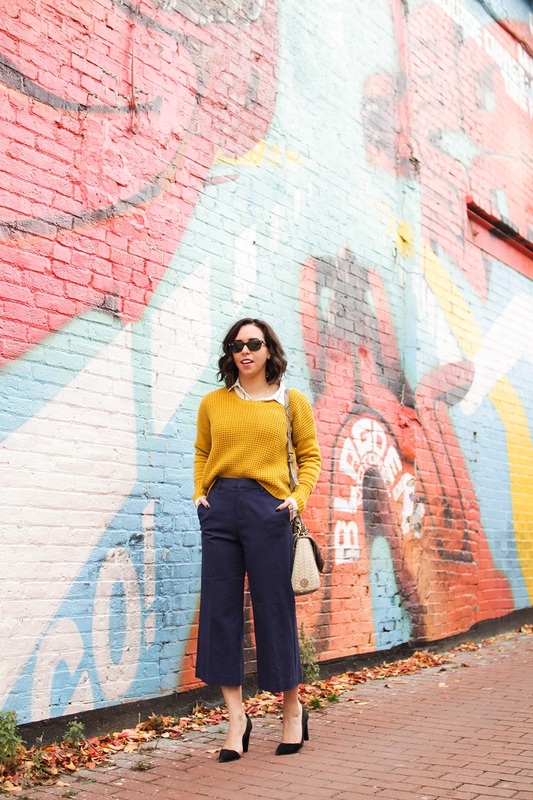 When Old Navy reached out to me to style a pair of their culottes I gladly accepted the challenge. 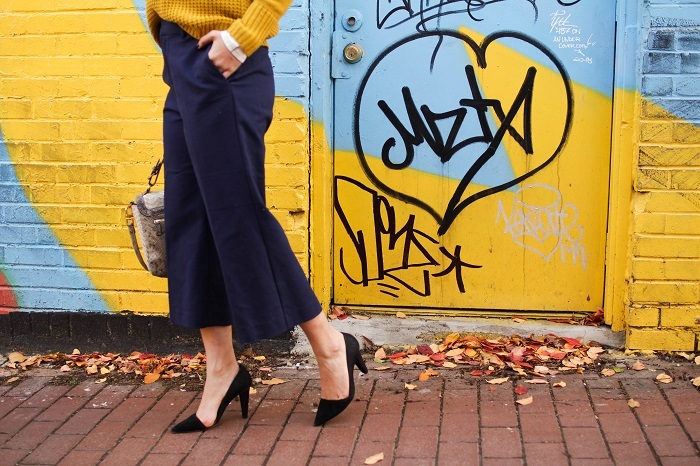 Culottes have been the trend this season I have been eager yet afraid to try. I am only 5'4" so anything that makes my legs/body shorter I am always a little hesitant to try. I can honestly say that I was pleasantly surprised with the fit (and price!) 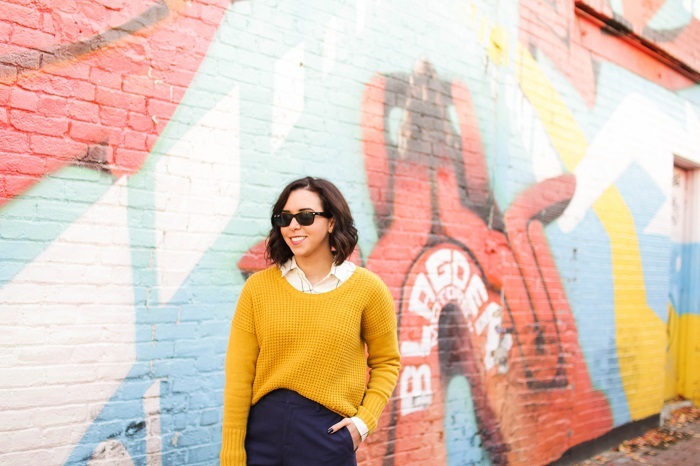 and luckily Old Navy had great pieces that complimented the cropped pants. 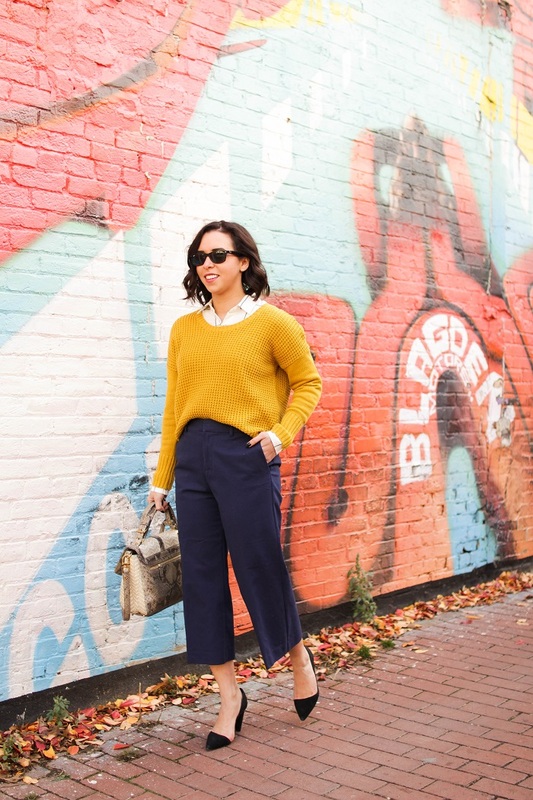 Opting for culottes is a fun and trendy way to spice up your work wardrobe. 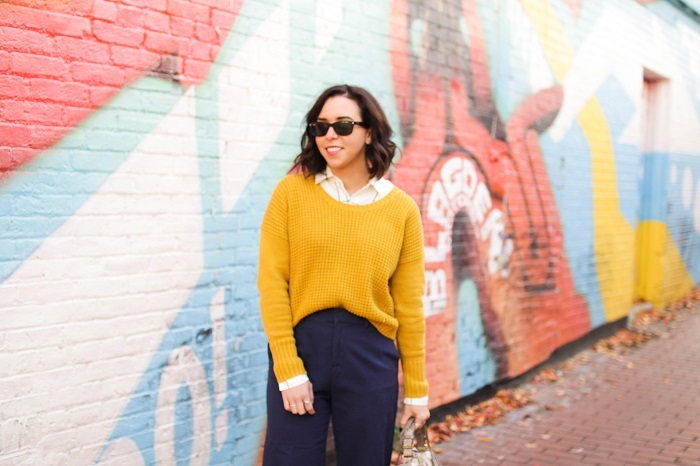 Adding this bright colored cropped sweater over a simple patterned top is classic with the right amount of pop. I am glad I discovered this new silhouette to add into my work wardrobe rotation! Love how these look on you! Glad you tried culottes because you pull them off well. 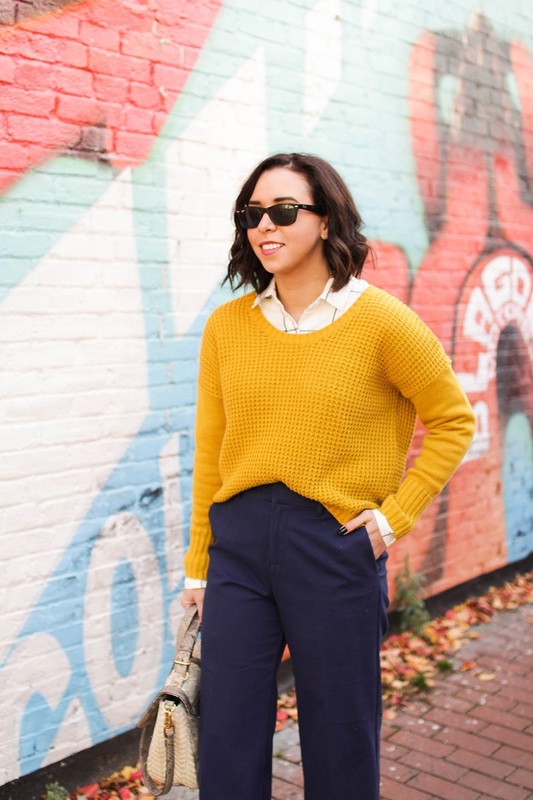 The navy and yellow is a good combination. My local store didn't have any of the culottes, so I ordered two pairs and am now wishing I had also ordered the navy to try. I ended up with the grey, and I really like them. 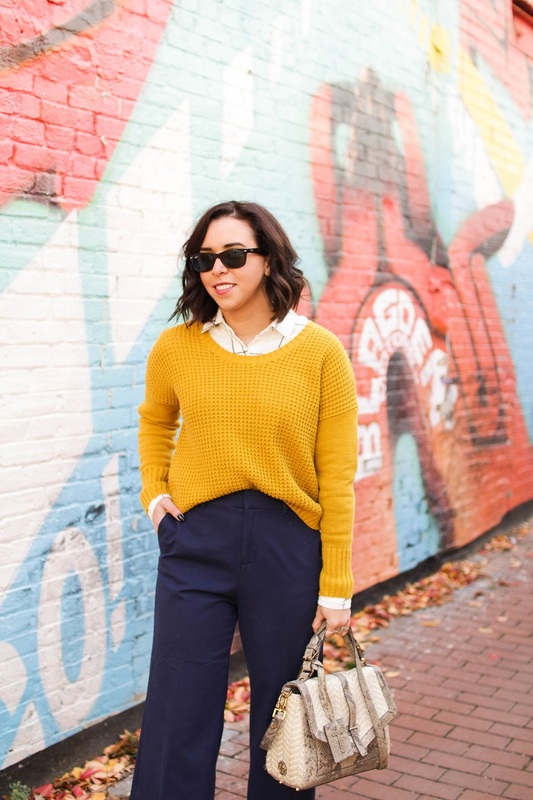 Love how you styled the culottes and the layering! It's a stunning look, I love it! I love the colour of your sweater! It really suits you!